Are you wondering whether cosmetic dental fillings are the right choice for your smile? Has one of our Chatham, NY, dentists, Dr. Domenic Riccobono or Dr. Vicki Cohn, recently told you that you have a cavity? This can be frustrating to hear, but we are here to explain more about cosmetic fillings and how they help restore the look and function of your teeth. A filling is a material that will be placed to restore a decayed tooth. While there are many different kinds of dental fillings from which to choose in Chatham, NY, we know that most people prefer to get tooth-colored, or cosmetic fillings, because they are designed to match the shade of your tooth. This means that when you smile no one will even know that you have a restored tooth. With the proper care, these tooth-colored fillings can last many years before needing to be placed. 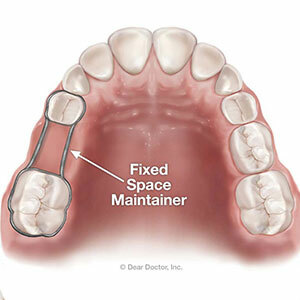 How will you know when a filling needs to be replaced? You might not, but our Chatham, NY general dentist will. This is why those six-month dental visits are not something you should skip. During these routine cleanings, we can also check the strength of your filling to make sure that it is holding up. Before you can get your dental filling we will first need to remove decay from the tooth. Once the decay is removed, we will begin to place layer after layer of tooth-colored resin over the area to refill it. With every layer that is placed, a laser will also be directed over the tooth to harden the filling in place. Once the filling is complete and hardened, it will be given a final polish to make it look like the rest of your tooth. Do you have questions about cosmetic fillings? Do you need to schedule your routine appointment to make sure your smile is healthy? Then it’s time you called Countryside Dental in Chatham, NY, today!